OCC Outdoors takes customer feedback very seriously. It’s this feedback — whether positive or critical — that confirms that we’re on the right course, that a decision we made was the right one. We’re constantly looking for ways to improve the experiences of our customers, whose satisfaction with their OCC Experience is extremely important to us. From offering volume discounts on select products, to determining the most cost-effective packaging and shipping — the OCCOutdoors team does everything they can save you money without sacrificing quality. Internally, we utilize the well-established, lean-manufacturing principles of Kaizen: a long-term, systematic approach that seeks to achieve incremental changes in processes specifically to improve efficiency and quality. Though much of our growth and development is brought on as a result of this internal process, we get a lot of inspiration from customer feedback. We value the feedback that we receive from our customers. Such constructive input reinforces our continued effort to improve the designs of the outdoor furniture that we offer, and helps us identify areas we may still need to review and research. Many of our new products have been born out of this continued conversation with our customers. 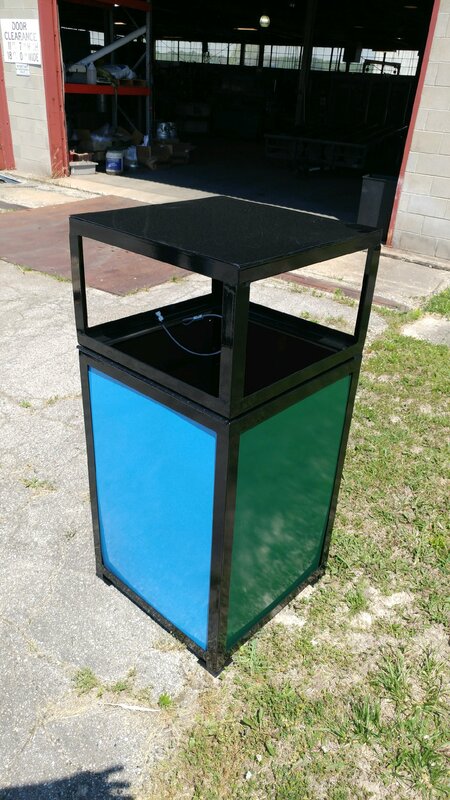 Our dual- and triple-Broadway recycle bins, for example, as an example. Customer input also inspired the development of several different models of memorial benches, a sign bench, and our newest trash receptacle — the Catalina. The Catalina is one of our most versatile receptacles to date, with several customization options available to fit your exact requirements. 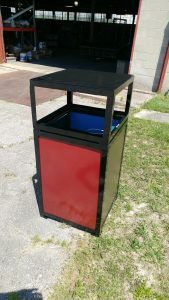 The Catalina is a 24-, 36-, or 55-gallon square top-load bin that can be used for either trash or recycling. The removable side panels, located on the base, can be used as advertising signage. This makes the Catalina not only visually appealing and fully functional for your commercial property, but also perfect for reminding your site visitors about upcoming events or current promotions. OCCOutdoors thanks our many customers for their continued patronage — and their feedback, which continues to help us provide the best service possible. 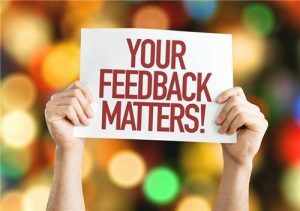 Have some customer feedback you’d like to share? View more images of the Catalina Trash & Recycle Receptacle below. The undeniable truth is quite simple: people still smoke. In 2015, 15 out of 100 adults in the U.S. still smokes cigarettes regularly. This is down roughly 25% from 2005. And all throughout the U.S., city ordinances have been striking down public cigarette smoking — from beaches to state courthouses. Does this mean that cigarette ash urns in publics spaces are no longer needed? Cigarette butts, to be exact. In spite of the drop in adult smokers, cigarette butts remain the most littered item in the U.S., according to a report from the American Legacy Foundation (now Truth Initiative). The industry standard available for commercial and public spaces to deal with this truth are the bins and receptacles with the ashtrays affixed on top. This option is certainly functional, and better than nothing, but having a lid-affixed ashtray presents its own set of problems — namely, the weather. OCCOutdoors developed an inexpensive solution to address this problem. 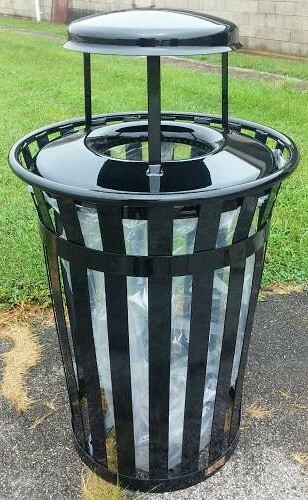 Our side-mounted cigarette ash urns are a unique fixture that can be retrofit to almost any steel trash receptacle. With a little ingenuity, it can fit other types of receptacles and recycle bins as well. 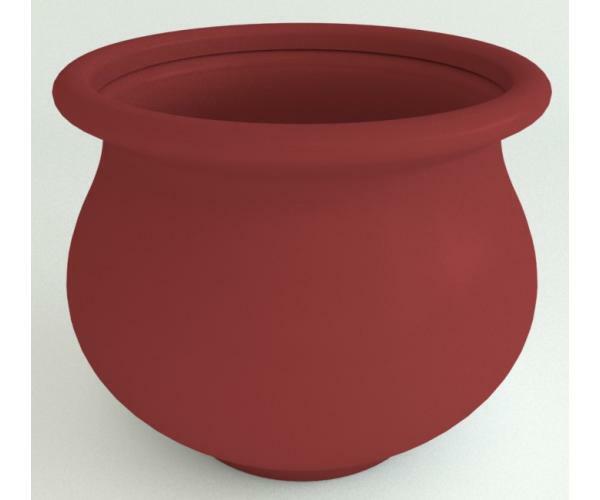 If it can’t be made to fit, the ash urn can be ordered as original equipment as well. There are plenty of benefits of having our side-mounted ash urn. Fairly enclosed, the ash urn keeps refuse dry from the weather. And, with its large capacity, the urn will hold hundreds of cigarettes. 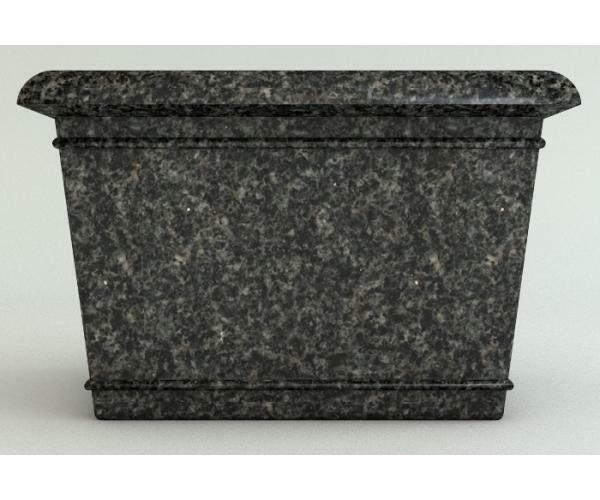 Save 25% on Our Side-Mounted Ash Urn: Now Just $75! 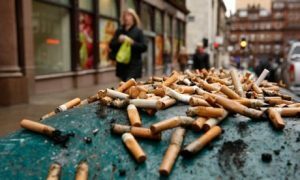 Most cigarette ash receptacles rely on a snuffer material in the bin to actually extinguish the disposed butts. Snuffing materials tend to be either water, gravel or, more commonly, sand — and represents an additional cost in the initial purchase of the media and with upkeep. After a heavy rain, this material can become densely packed and must be replaced. With our side-mounted ash urn, no such additional cost is needed. The urn’s oxygen-depriving design does not require a snuffer. Your facility’s maintenance supervisor need never “sift” through the urn to keep it fully functional and clean. The key to keeping your facility as clean and litter-free as possible is making sure trash and recycle bins are plentiful and easily accessed. 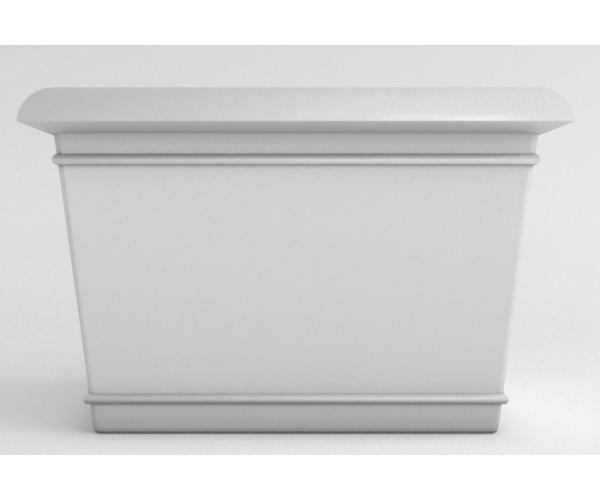 To make it easy for facility and site managers, we’ve designed our side-mounted as urns to be easily installed. 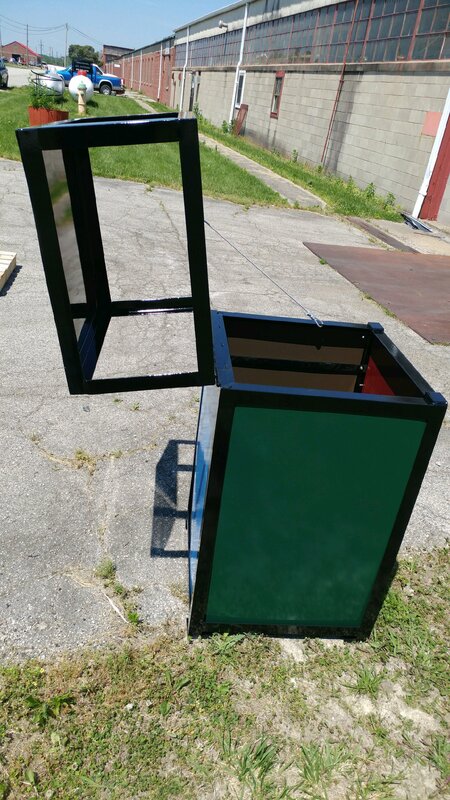 Each urn comes with an optional mounting kit that works well on the vertical slats of most recycle bins and waste receptacles. The kit makes installation incredibly easy and eliminates the need for any tools other than a couple of wrenches. One day, it might be close to impossible to find cigarette butts on the ground in public spaces. Until then, a site manager’s best bet is to make it easier on visitors to properly dispose of their cigarettes throughout the facility, paying particular attention to transitions areas. 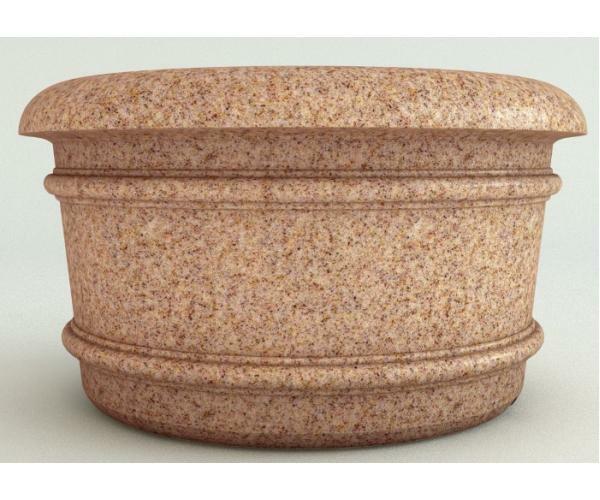 To that end, our side-mounted cigarette ash urn is the perfect, affordable, low-maintenance solution. Find the Perfect Cigarette Ash Urn for Your Facility Today! 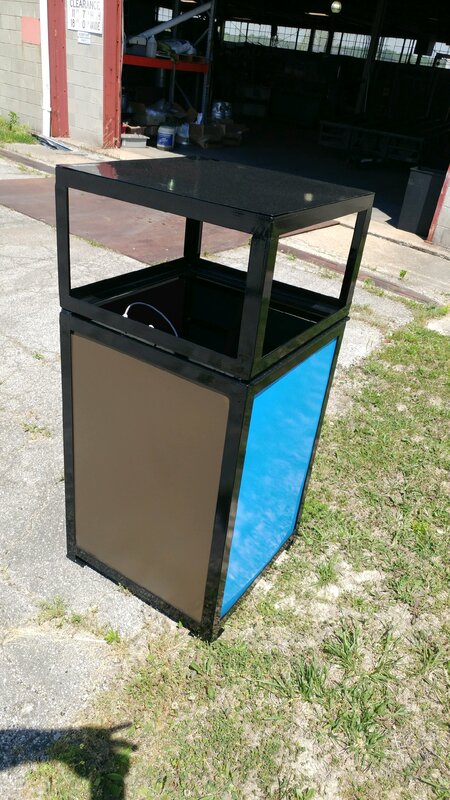 See-through trash receptacles can be ideal for many sites. OCCOutdoors has two styles of clear-view trash receptacles: a small pole-mounted unit and a more conventional-styled trash receptacle, with a top bag retainer in lieu of a liner — like the one in the image on the right. See-through trash receptacles have been used in airports for decades. Therein lies the second advantage: security. You can better see the contents in the bins and identify any potential problems that might arise. With most commercial trash receptacles, there is a heavy-duty liner, made of either rigid plastic or heavy steel. For some facilities, the cost of replacing these liners if stolen or damaged can be a hefty expense. And handling them tends to get unwieldy for many. However, none of our see-through trash receptacles have rigid liners. This makes our Clear View options cost efficient, as well as easier to manage. They were designed with ease of use in mind and can be mounted to most pole sizes and styles. Additionally, the low-cost of our pole-mounted option means you can install extra repositories for special events. Quickly mount and unmount as needed! When you need quality waste management and recycling solutions that can save you money and manpower, while simultaneously providing an extra sense of security, our Clear View see-through trash receptacles are options that simply cannot be beat! Find the perfect waste management product for your site today! When people think of tree grates, they typically think of the grates made from old steel or cast iron. But tree grates made from metal present a number of problems for today’s businesses. They are expensive to manufacture. Due to their weight, they’re also expensive to ship — especially since most of them are made overseas. 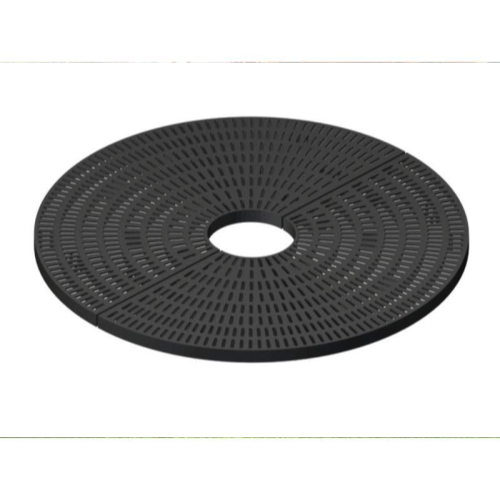 But there is a better option for companies who wish to save time and money while still enjoying the benefits that come with protecting your site’s trees with a tree grate: recycled plastic. Missing steel & copper tree grates, stolen for scrap metal. Tree grates made from steel or copper have another kind of value — the scrap scavenger market. 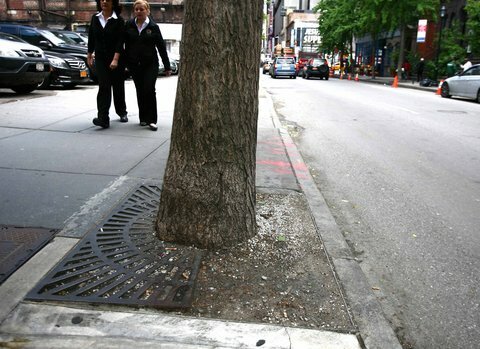 In 2012, The NY Times reported on the rise of copper tree grate thefts, like the one shown here. This was brought on by a “surge in the value of copper, iron and other metals” that fueled a wave of thefts from sidewalks, roadways and rail yards. With recycled plastic tree grates, you do not have this issue! Our 100% post-consumer recycled plastic tree grates are just as durable as iron and copper tree grates, though are a third of the cost! 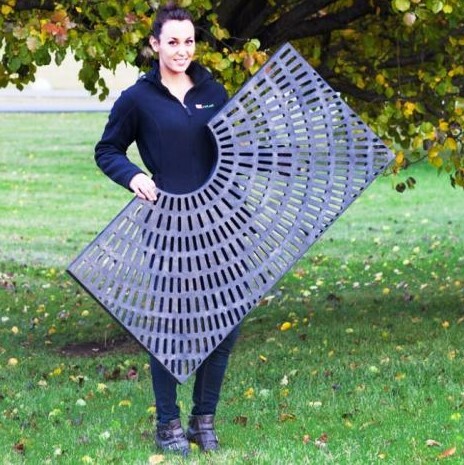 While they are a smart Green solution for companies wanting to show their commitment to sustainability, there are plenty other advantages to grabbing a recycled plastic tree grate from OCC Outdoors. 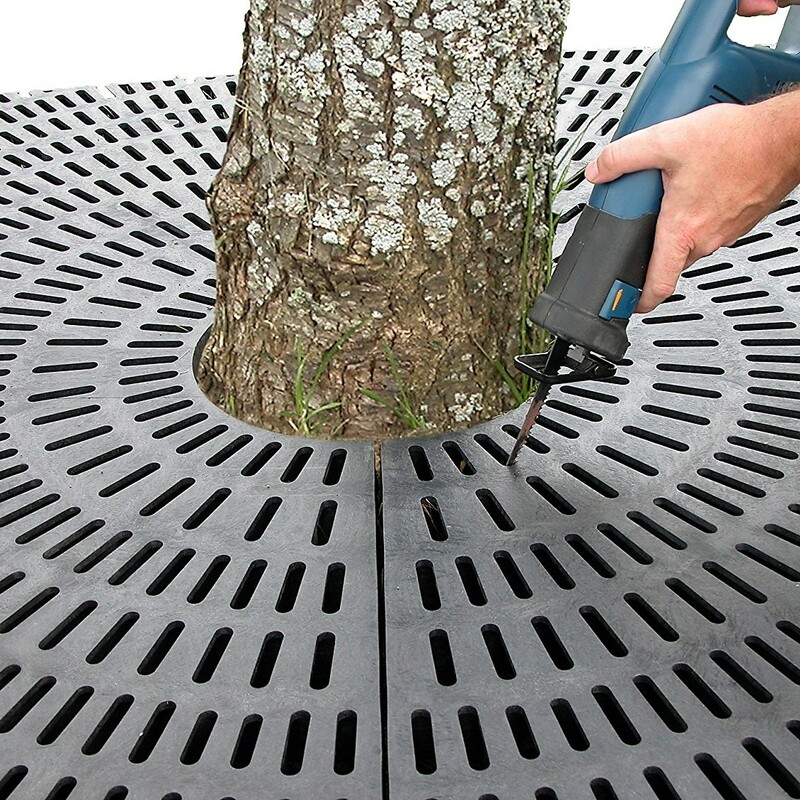 Shop for the Perfect Tree Grate Today! 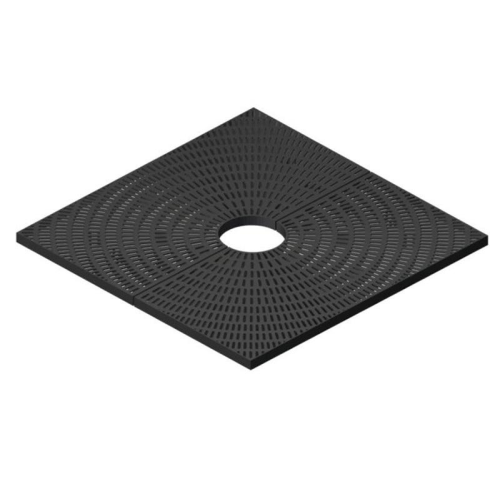 Durable, long-lasting – Our recycled plastic tree grates are made from high-density polyethylene (HDPE) recycled plastic materials. Ultraviolet inhibitor additives are added to retard color degradation associated with outdoor use, ensuring the grates will last for years without fading or growing brittle, even under the harshest conditions! 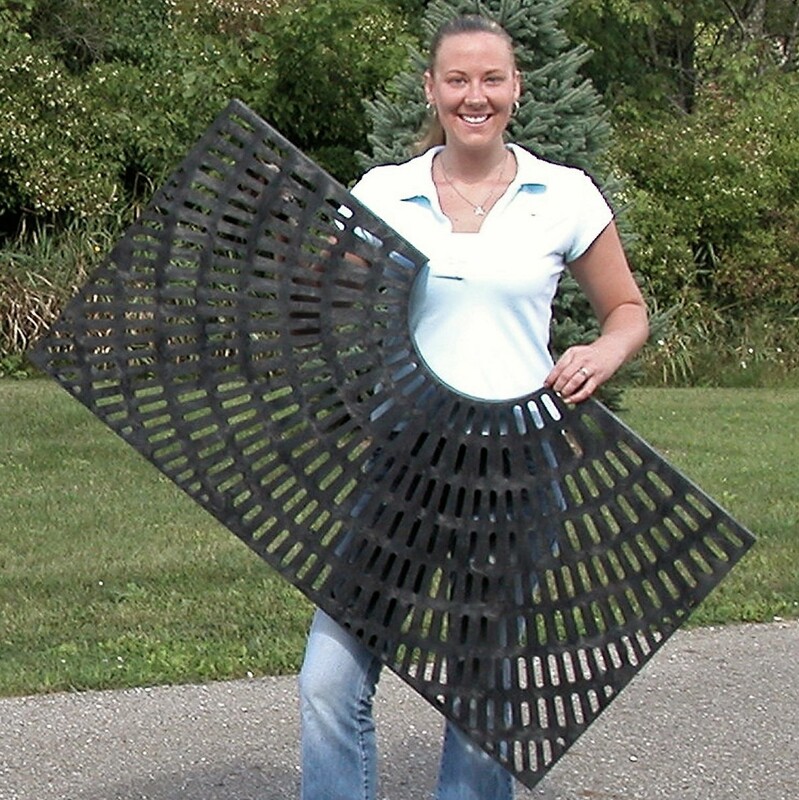 Lower Shipping Costs – Though they come in a variety of sizes and shapes, OCC Outdoors tree grates are lighter than steel. And that means you’ll save money on shipping. Smaller orders can even ship via FedEx! 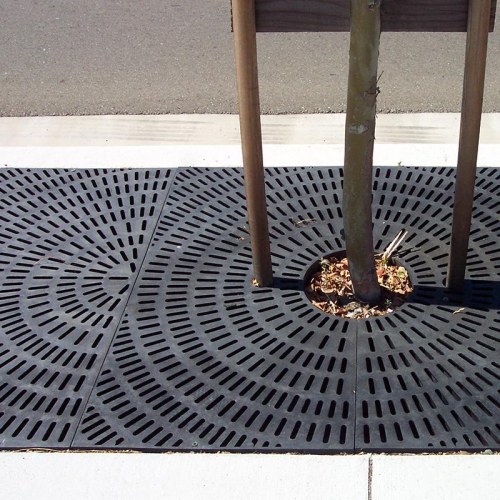 Easy Installation – There’s no need for clunky specialized, expensive installation tools with our recycled tree grates. They’re quick to install and light enough for an installation team of one. 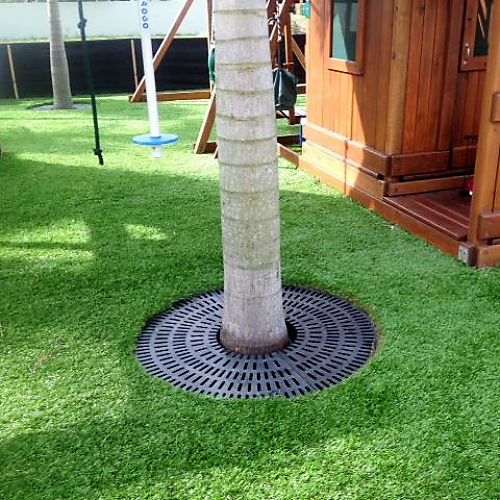 Low-Maintenance – Rust and corrosion are a thing of the past with our recycled plastic tree grates. We mold color through the integrity of the entire product — they will never need repainting! Hassle-Free Expansion – Trees are supposed to grow. But their roots will grow upward if there is insufficient room for it to grow outward. A tree without enough space can push a sidewalk upward, creating a pedestrian danger. 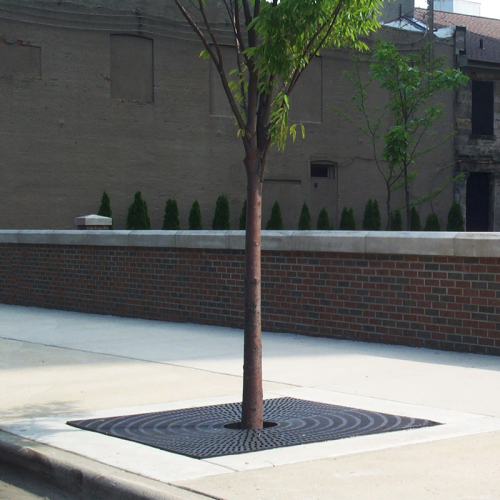 Our tree grates can be quickly and easily expanded to accommodate the growth of the tree, which will protect the tree and passers-by. Environment-Friendly – The post-consumer HDPE plastics of our tree grates maintain a smaller carbon footprint by more than 15% compared to typical cast iron solutions. This is achieved through reduced fuel consumption and lower carbon emissions at the warehouse. 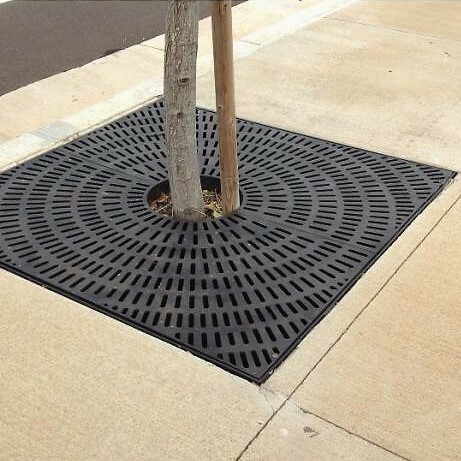 Not only are these tree grates completely recyclable, they are also non-toxic and will never leak harmful contaminants into surrounding soils. 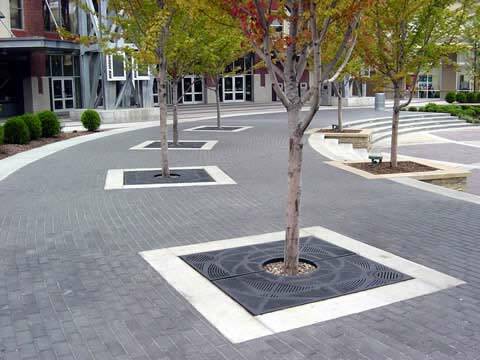 Our ADA-compliant tree grates are designed to protect trees and keep pedestrians safe in streetscape environments. The radial design pattern is both functional and beautiful: easily and quickly expand the diameter, for instance, to accommodate future tree growth. First, in urban areas with a high density [. . .], these grates keep the surrounding soil around the tree from being compacted. Compacted soil is a major reason why trees suffer in urban settings. 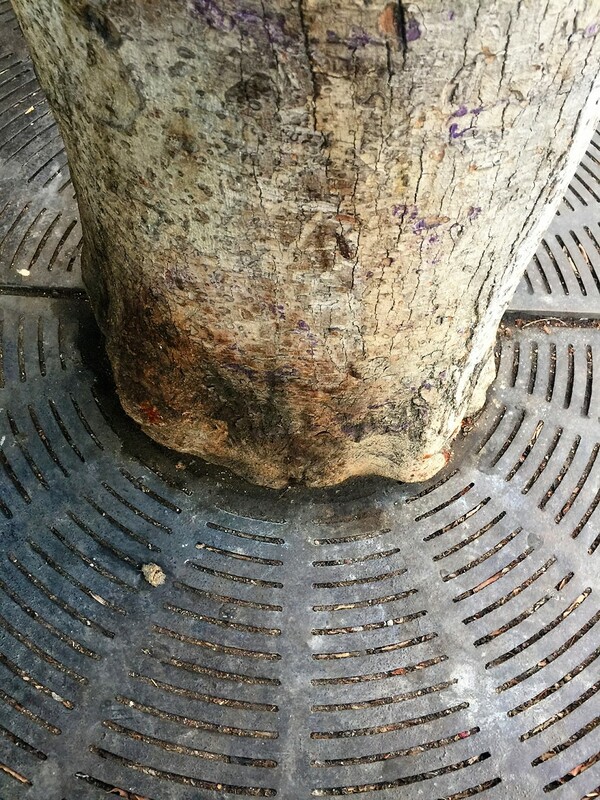 Tree grates also [slow] down the evaporation of the water around the tree. And while using a tree grate is a forgone conclusion, you can still save time, energy, and money by using a recycled plastic tree grate from OCC Outdoors. 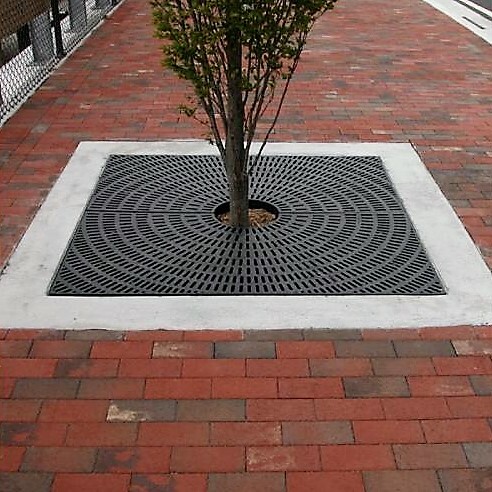 Recycled Plastic Tree Grates from OCC Outdoors look great in a variety of outdoor spaces. One of the primary general concerns for planters is the maintenance and care of the flora planted in them. The most obvious solution is to find a way to make planters self-watering. Why Use a Self-Watering Planter? 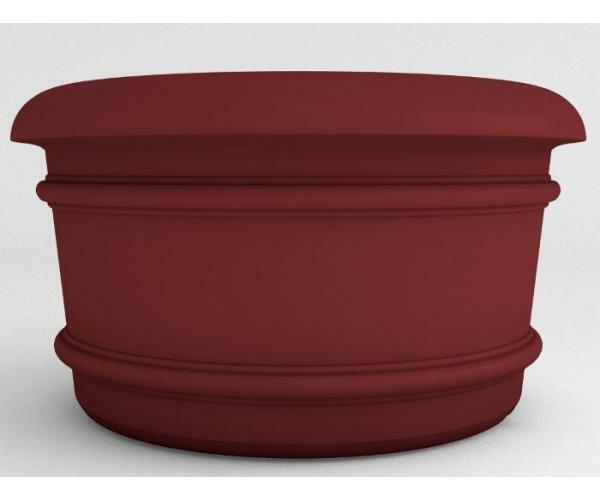 Self-watering planters are ideal for commercial use in any cost-conscious business. Outdoor restaurants, shop entrance ways, courtyards and along storefronts — they all can benefit from the low maintenance of a self-watering planter. • fewer plant replacements due to over- or under-watering. How Does a Self-Watering Planter Reduce Water Usage? Our self-watering planters use a gravity-defying moisture wicking system. 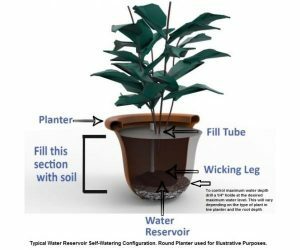 This system effectively draws water up from below the roots using a stem tube that acts like a big wick. The wicking leg brings moisture up into the soil from below the roots. Whatever you have growing in your planter gets watered from the bottom. How Will a Self-Watering Planter Keep My Plants Healthier? With self-watering planters, your plants will thrive because they only consume what they need. You will see less yellowing leaves and root rot. These planters also help prevent mold and fungus associated with over-watering. And with less maintenance! Watering a plant with traditional plant container, the excess water drains out of the hole at the bottom. This not only creates a loss of water: the nutrients in the soil are also lost! It then becomes necessary to replenish the soil with new organic matter — which only adds to your cost. Self-Watering planters avoid that additional cost because they keep the nutrients within the planter environment better than regular planters. 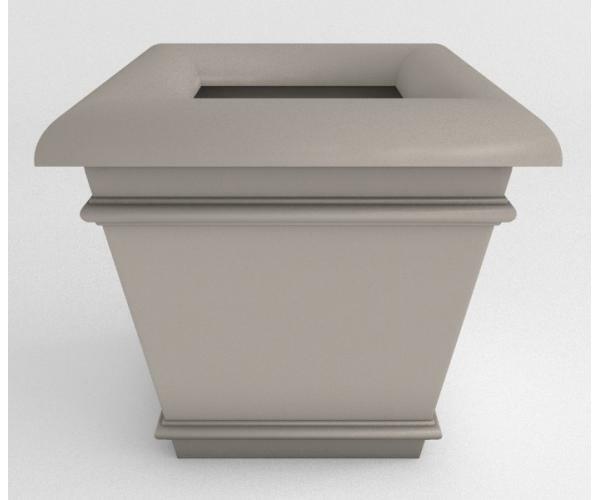 Our planters are made of the resin from a Linear Low Density Polyethylene, which is a member of the plastic family, formulated to be durable and maintenance free. Made of up to 30% post-consumer recycled material depending on the color with non-porous resin, nothing gets through it and nothing sticks to it. We even blend a UV inhibitor right into the resin. The resin is designed for strength and long lasting durability. 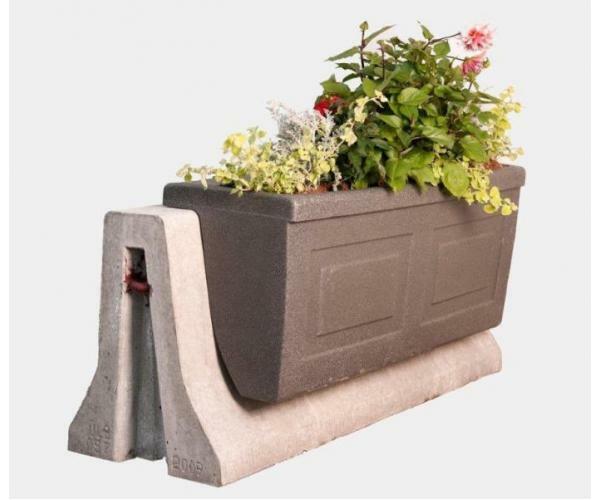 The planters are lightweight (easy to move), indestructible, maintenance free, recyclable and the faux-stone blends look much like stone planters. 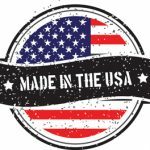 More importantly, self-watering planters from OCCOutdoors is 100% Made in the USA! Other Benefits to Self-Watering Planters? The unique bottom-feeding method produces a vibrant, healthy and colorful display of plants. • Overflow drain prevents over watering and protects plants located outdoors from becoming waterlogged in the event of a heavy downpour. • Plants stay healthier with consistent moisture, they only consume what they need. • Decreased chance of yellowing leaves and root rot. • Saves time – no need to constantly monitor the soil’s moisture content to maintain healthy plants. • Less labor intensive as weeding is virtually eliminated. • Liquid fertilizers are easily added to the reservoir with constant dilution. Find the Perfect Self-Watering Planter Today!